J. Christopher Ludwig is chief biologist with the Virginia Department of Conservation and Recreation’s Division of Natural Heritage. In addition to studying the vascular plants and the animals of Virginia, he manages a multidisciplinary team of biologists who identify rare species and significant plant communities throughout the state. From 1988 to 1998 he served as botanist with the Division of Natural Heritage. Alan Weakley, Ph.D., is the curator of the University of North Carolina Herbarium (a department of the North Carolina Botanical Garden) and an adjunct professor at the University of North Carolina at Chapel Hill. A native of Virginia, he was formerly chief ecologist with NatureServe in Arlington; southeastern regional ecologist for The Nature Conservancy; and botanist with the North Carolina Natural Heritage Program. 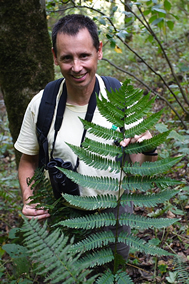 Since 1992, Weakley has been developing a guide to the flora of the southeastern states and throughout his career has been active in plant systematics, plant ecology, and conservation in the Southeast. 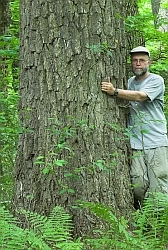 John Townsend is staff botanist with the Virginia Department of Conservation and Recreation’s Division of Natural Heritage. His work as part of the division’s inventory team has focused primarily on rare vascular plants and their conservation. He was previously curator of the herbarium at Clemson University. His Flora work has included ♦ Editing of taxonomic descriptions ♦ Editing of illustrations, ensuring that they accurately and truly depict key characters ♦ Provision of Virginia-specific information on status and habitat. 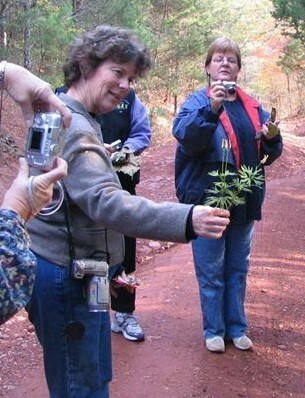 Bland Crowder is executive director of the Flora Project, having been with the Project since 2007. He manages development and public relations for the Flora Project and heads the Flora App committee. He copyedited and was liaison with the publisher of the Flora and compiled taxonomic descriptions and the glossary for the volume. 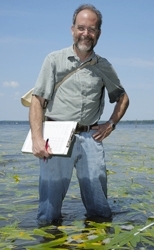 He is publications chair of the board of the Virginia Native Plant Society and is former coordinator of education, volunteers, and publications with the Chesapeake Bay National Estuarine Research Reserve in Virginia. Gary P. Fleming wrote the chapters of the Flora titled “The Nature of the Virginia Flora” and “Learning the Virginia Flora: 50 Sites for Productive Field Botany” and took the photographs used in those chapters. He also reviewed the phenology and habitat information used in taxon descriptions. 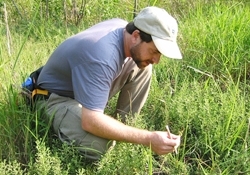 Fleming is a vegetation ecologist with the Division of Natural Heritage of the Virginia Department of Conservation and Recreation. He is president of Virginia Botanical Associates, a nonprofit organization that has been devoted to mapping the distribution of all vascular plants in Virginia for the past 30 years. Nancy Ross Hugo co-wrote the chapter of the Flora titled “Plant Discovery and Documentation in Virginia: A Historical Perspective,” on the history of botanical exploration in Virginia. 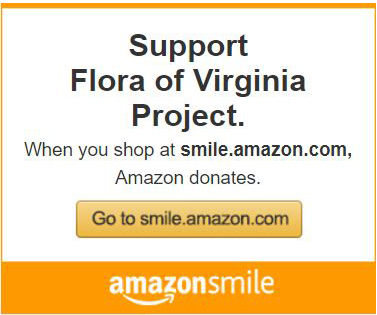 She served on the board of the Flora Project from nearly the beginning to mid-2013. Among other books, Hugo wrote Seeing Trees and, with Jeff Kirwan, Remarkable Trees of Virginia. Donna M.E. Ware, Ph.D., wrote the treatment of the genera Valeriana and Valerianella (now in the Caprifoliaceae, formerly in the Valerianaceae) and co-wrote the chapter on the history of botanical exploration in Virginia. 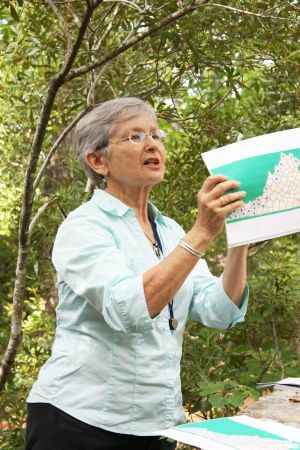 Ware, a co-author of the Atlas of the Virginia Flora (now online) and curator emerita of the William and Mary Herbarium, served on the Flora Project board through mid-2013. 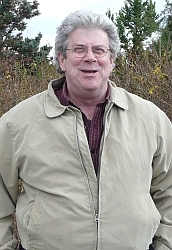 Tom Wieboldt wrote the treatment of the family Isoetaceae and, with Ron Lance, that of Crataegus. Wieboldt is curator of vascular plants at the Massey Herbarium at Virginia Tech and vice president of Virginia Botanical Associates, which maintains the Digital Atlas of the Virginia Flora. Lara Call Gastinger, lead illustrator, drew the dicots and, other than the graminoids, the monocots, for the Flora. She has a B.A. degree in biology from the University of Virginia and an M.S. degree in plant ecology from Virginia Tech. She also has participated in the field ecology and drawing program of the Rhode Island School of Design and in a biological illustration program of Cornell University and the University of New Hampshire. 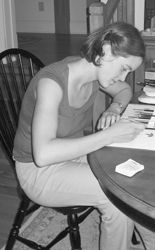 Gastinger has exhibited her work widely, including at the American Society of Botanical Artists and the Horticultural Society of New York’s Ninth Annual International Juried Botanical Art Exhibition (2006). Michael Terry illustrated the graminoids (grasses, sedges, and rushes) for the Flora. 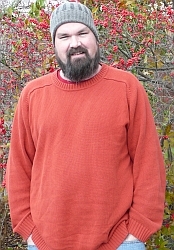 His paper, “A Flora of Powhatan County, Virginia,” appeared in the September 2007 issue of Castanea. His Flora of Virginia work also included research using herbarium specimens to verify that plant descriptions written for the Flora accurately portrayed Virginia plants. Roy Fuller illustrated, as a volunteer, the ferns and fern allies for the Flora. He also illustrated a new species of Rhododendron for Novon, but he is more likely to be creating abstract art than botanicals. With a business background, in 1993 he began doctoral research at Wake Forest University on the molecular systematics of two neotropical genera of blueberries. He now operates a microbiology lab that performs EPA-required bacteriological testing of public water systems. The following people, many of them volunteers, compiled taxonomic descriptions for the Flora based on the literature: Alan Belden, Doug DeBerry (especially sedges of the genus Carex), Tom Dierauf, John Dodge (especially grasses), Ruth Douglas, Irene Frentz, Kevin Heffernan, Mike Leahy, Marion Blois Lobstein, Greg Plunkett, Rosalind Rowe, and Allison Weakley.